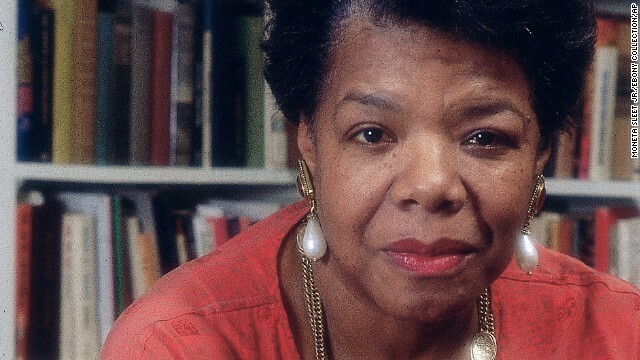 (CNN) — A literary voice revered globally for her poetic command and her commitment to civil rights has fallen silent. Maya Angelou died at her home in Winston-Salem, North Carolina, on Wednesday, said her literary agent, Helen Brann. The 86-year-old was a novelist, actress, professor, singer, dancer and activist. In 2010, President Barack Obama named her the recipient of the Medal of Freedom, the country’s highest civilian honor. One of Angelou’s most praised books was “I Know Why the Caged Bird Sings.”The memoir bore witness to the brutality of a Jim Crow South, portraying racism in stark language. Readers learned of the life of Marguerite Ann Johnson (Angelou’s birth name) up to the age of 16: how she was abandoned by her parents and raped by her mother’s boyfriend. She was homeless and became a teen mother. Its publication was both daring and historic given the era of its debut in 1969. “All of the writers of my generation must honor the ground broken by Dr. Maya Angelou,” author Tayari Jones posted on her Facebook page Wednesday. “I Know Why the Caged Bird Sings” was an international bestseller and nominated for a National Book Award in 1970. In six other autobiographical books she subsequently penned, Angelou revealed myriad interests and occupations of her life. Angelou spent her early years studying dance and drama in San Francisco but dropped out of school at age 14. When she was 16, Angelou became San Francisco’s first female streetcar driver. In 1958, Angelou become a part of the Harlem Writers Guild in New York and played a queen in “The Blacks,” an off-Broadway production by French dramatist Jean Genet. Angelou spoke at least six languages and worked as a newspaper editor in Egypt and Ghana. It was during that time that she wrote “I Know Why the Caged Bird Sings,” the first in a series of autobiographical books. “I want to write so well that a person is 30 or 40 pages in a book of mine … before she realizes she’s reading,” Angelou said. Angelou was born April 4, 1928, in St. Louis. She grew up between St. Louis and the then-racially segregated town of Stamps, Arkansas. The famous poet got into writing after a childhood tragedy that stunned her into silence for years. When she was 7, her mother’s boyfriend raped her. He was beaten to death by a mob after she testified against him. In her poem “Caged Bird,” Angelou wrote: “A free bird leaps/on the back of the wind/and floats downstream/till the current ends/and dips his wing/in the orange sun rays/and dares to claim the sky. Angelou’s list of friends is as impressive as her illustrious career. Talk show queen Oprah Winfrey referred to her as “sister friend.” She counted Rosa Parks, Malcolm X and Martin Luther King Jr., with whom she worked during the civil rights movement, among her friends. King was assassinated on her birthday. In an interview with CNN in January 2009, just days before President Obama was inaugurated for his first term, she gave her thoughts about the United States’ election of its first black president. Seeing Obama about to take office made her feel proud, she said. “I’m excited. I’m hopeful. I’m talking all the time to people, and sometimes I’ve really said it so many times I wonder if I’m coming off like a piece of tape recording, but I’m very proud to be an American. The president said that his own mother was so inspired by Angelou that she named his sister Maya. In CNN’s 2009 interview, Angelou spoke in the way that she came to be famous for, each sentence a crescendo of emotion, a call to everyone to act and to be better. We were lucky enough to have Cokie Roberts speak to us in Concord tonight about the role of women in the Revolutionary War. At the Concord Museum we currently have an exhibit entitled “The Shot Heard Round the World:April 19,1775″” so this tied into the exhibit perfectly. She was both humorous and extremely interesting as she led us through her investigation of the role women played behind the scenes. 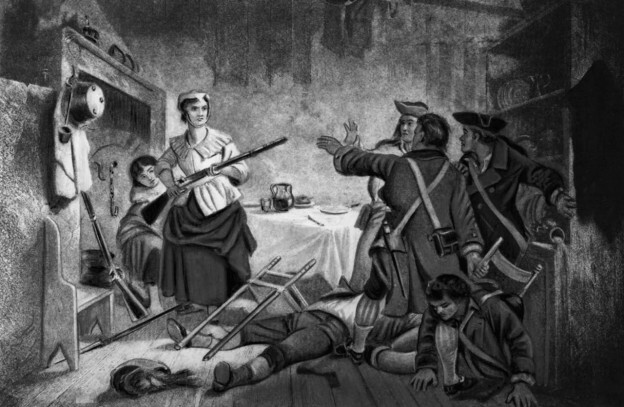 Cokie is the author of several books on this topic-“Founding Mothers-The Women Who Raised Our Nation” which looks at the patriotic and passionate women whose tireless pursuits on behalf of their families-and their country-proved just as crucial to the forging of the new nation as the rebellion that established it. “We Are Our Mother’s Daughters” examines the nature of woman’s roles throughout history as well. Cokie Roberts is a very familiar voice to anyone who’s listened to NPR over the past three and a half decades. She worked as NPR’s congressional correspondent for ten years before she moved into TV and became co-anchor with Sam Donaldson of ABC’s “This Week”. Currently she is a political commentator for NPR’s Morning Edition and ABC News. In addition, in her latest book that is for children and came out earlier this year, Cokie examines how the wives, mothers and sisters of America’s founding fathers helped forge the nation. What I love about Boston is that as a rule, people really have a great sense of humor. In a bid to get notoriously aggressive Boston drivers to use their turn signals, Massachusetts officials tried to put the message into terms that only they would understand. 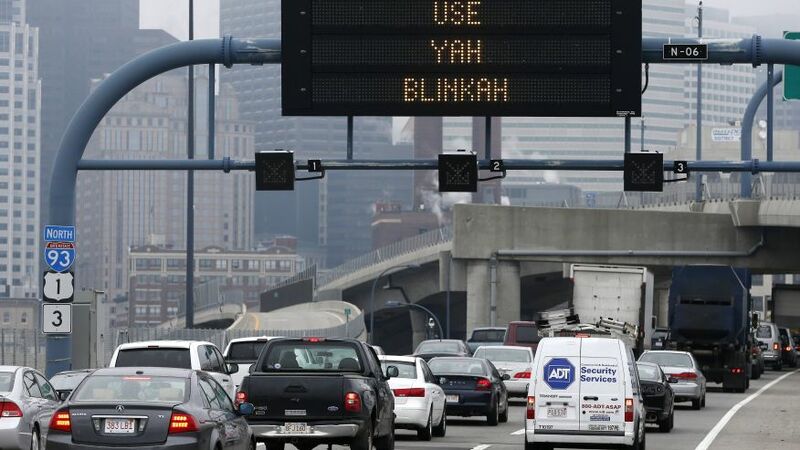 “Blinkah” is how Bostonians pronounce “blinker,” otherwise known as a turn signal. The Massachusetts Department of Transportation changed the message Friday and say the signs will stay up through Mother’s Day on Sunday, which officials say is one of the busiest traffic days of the year. The message reportedly was prompted by a complaint from a resident who requested officials find a way to discourage sporadic lane changes, The Boston Globe reported. A MassDOT spokeswoman told The Globe the agency saw the request and in addressing it, decided to have a little fun. Drivers who fail to use their “blinkah” when changing lanes on a Massachusetts highway are subject to a fine. Police across the state handed out almost 5,000 tickets for the offense last year. 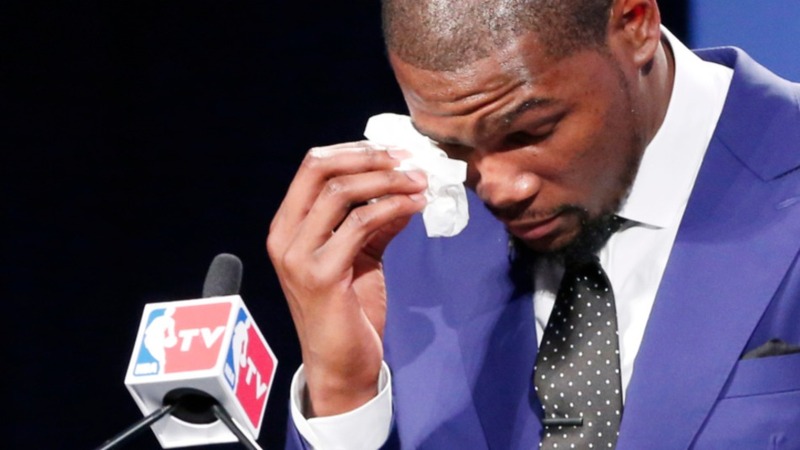 EDMOND, Okla. — The human habit of being swayed by the moment at hand is as old as the world itself, but it was hard not to leave Kevin Durant’s NBA MVP acceptance speech with the strong belief that there will never be another one like it. The Chicago Bulls’ Derrick Rose made people reach for the tissues during his 2011 speech, when the point guard told personal stories about his childhood and paid touching homage to his mother as she sat just a few feet away inside the United Center. Others before him have tugged at our heartstrings and comported themselves with aplomb as well. But by the time the Oklahoma City Thunder star was done with his 25-minute speech, done with the interview session afterward and done with the gala-like event that included hundreds of fans and Oklahoma City’s mayor celebrating inside the team’s old practice facility outside of town, the totality of his genuine performance will be tough to top by any measure. He thanked teammates by name, telling personal tales about each of their relationships and why they mattered to him. He thanked his coaches, talking at length about the close bond he has had with coach Scott Brooks since they came together during the Seattle SuperSonics days in 2007. He was talking through tears long before he addressed his mother, Wanda Pratt, who raised Kevin and his brother, Tony, in a Washington D.C. suburb of Seat Pleasant, Md., and who was there in a fancy white dress on Tuesday. The video montage of Durant’s charity work and unique personality had been impressive, as was the support he had waiting for him outside where all the music and games and frivolity awaited. When he finally turned his attention to the woman who has always been his backbone, everything else seemed to fade away. With the room captivated, the son who is truly one of a kind spoke from the heart. As Rose had reminded us just a few years before, these big boys of the NBA are never too old to thank the women who brought them into the world — even when it’s in front of the world. When Durant nearly quit basketball as a seventh-grader, the gangly kid questioning everything from his own talent to the idea that all of this hard work was even worth it and telling his Godfather, Taras “Stink” Brown, that he was done, Wanda was the one who told him to keep going. Pratt, who worked as a Postal Service mail handler to make ends meet, had grown up on the same rough streets as her boys. She knew that quitting anything at this crucial stage only led youngsters down a dark path. Then during his freshman season at National Christian Academy in Fort Washington, Md., with Durant frustrated at the lack of attention from AAU coaches and tempted by things that tempt kids at that age, he nearly quit again until guess-who intervened. 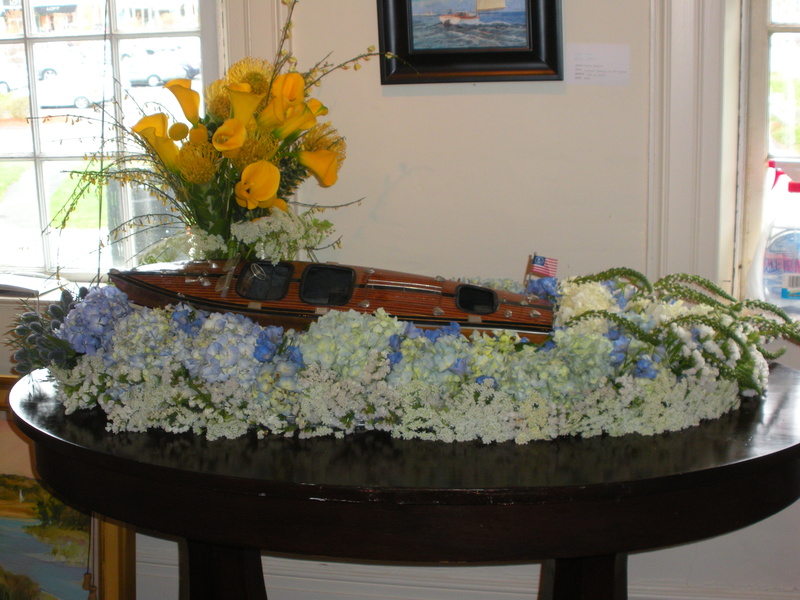 A good friend of mine and I were asked to do flowers for an event called “Reflections in Bloom” which took place at Powers Gallery in Acton, Massachusetts. 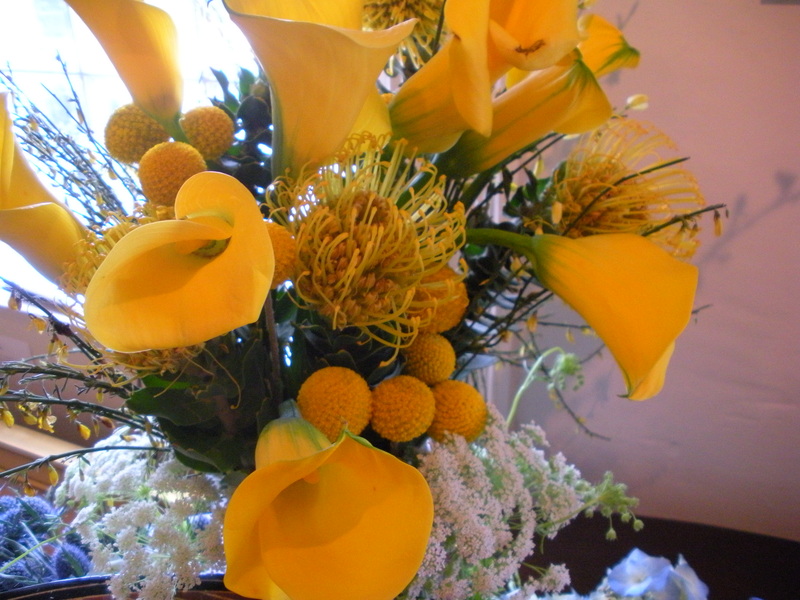 It was to benefit the Emerson Hospital Auxiliary Programs. 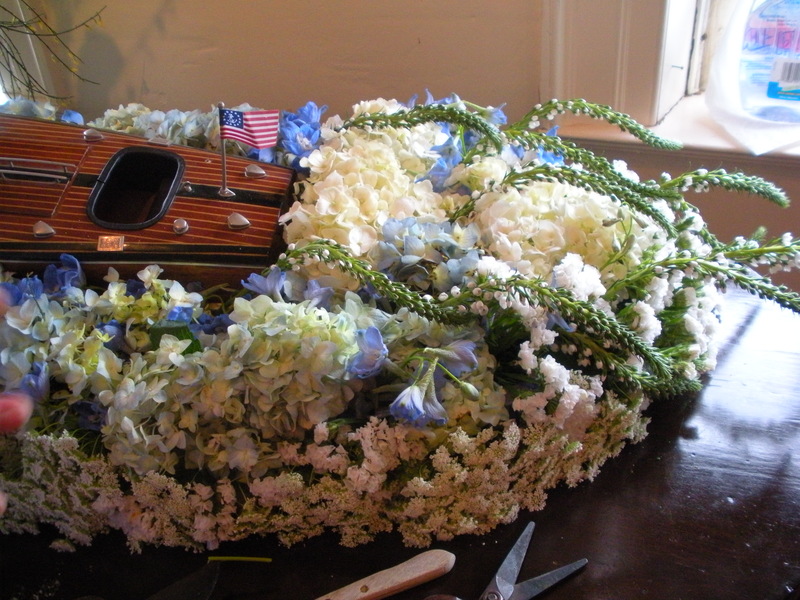 We were asked to pick one of the rooms in the Art Gallery and to tie our floral arrangement in to the room we picked.We both loved the “nautical room” and quickly noticed that there was a beautiful antique boat sitting on one of the tables. 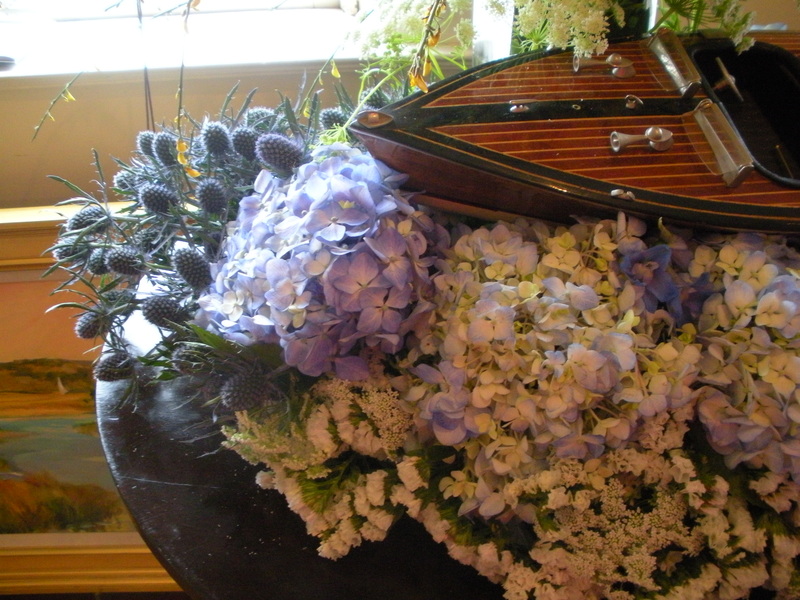 It turned out that it belonged to the owner of Powers Gallery and he offered it to us to use with our arrangement. 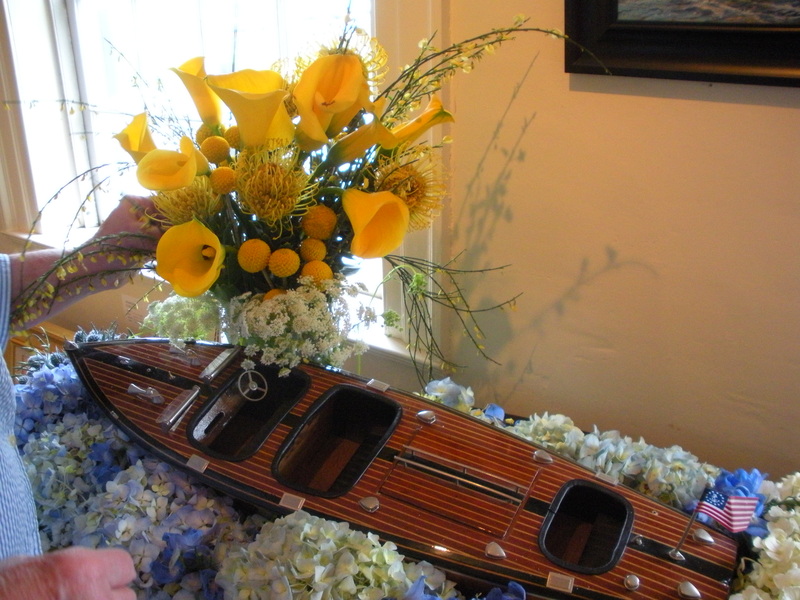 We were both happy at the event last night-as hoped, our arrangement seemed to bring smiles to people’s faces as they fully realized the waves,spray and the sun depicted…….